Contemporary electric guitar with a bias towards the rock soloist. 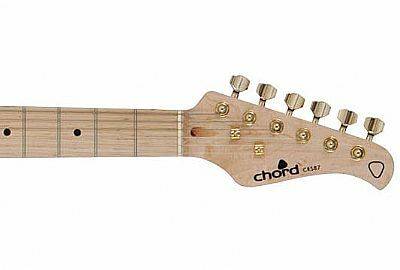 This guitar features a solid alder body bolted to a maple neck with 22 fret maple fingerboard. The vibrato bridge, machine heads and other hardware are gold plated and the electrics are served by H-S-H pickup combination married to a master volume, tone and 5-way selector. Finish is a deep, translucent gloss metallic pink. 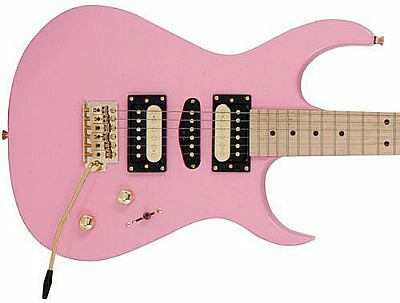 Finish - Pink electric guitar (other colours available). 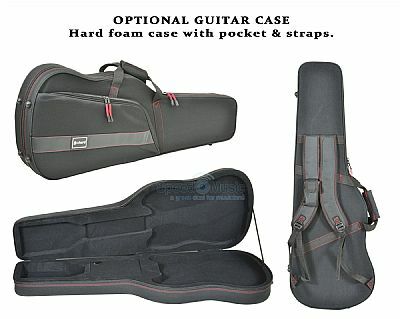 This rock guitar is great value and very versatile. Great rock tones from the humbucker pick-ups.